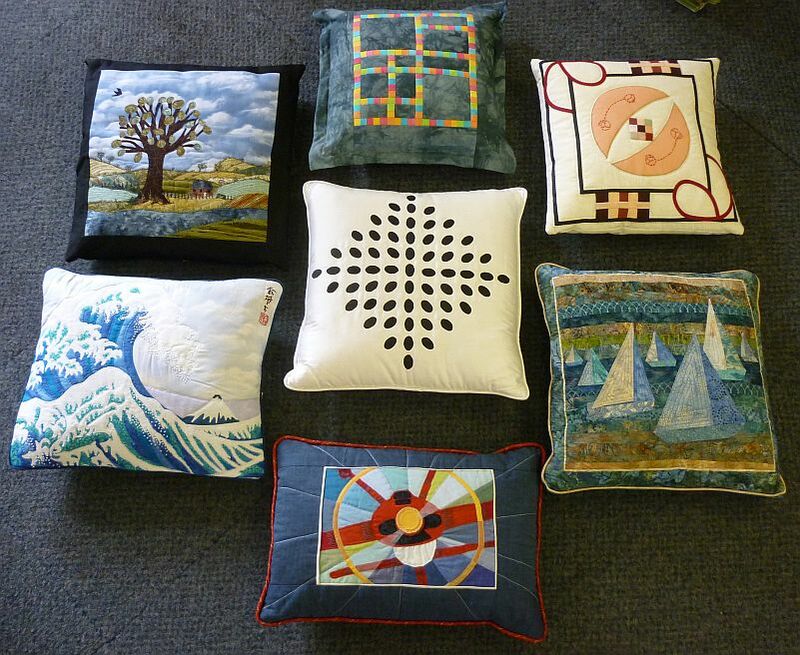 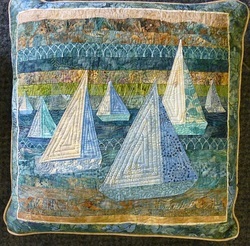 "This challenge was set to produce a cushion inspired by an artist or a work of art. 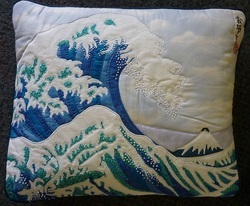 As I love blue and the sea, I chose a woodcut by the Japanese artist Hokusai (published between 1829-32)". 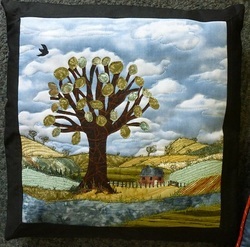 This won 2nd prize. 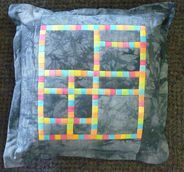 "This cushion was based on the work of Piet Mondrian and 'Brooklyn Boogie Woogie' was the inspiration." 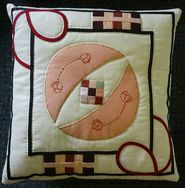 "I chose Charles Rennie Mackintosh for my cushion and the bias binding is vintage!" 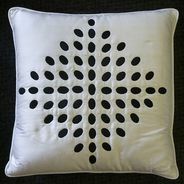 "I love the work of Bridget Riley so here is my interpretation of one of her works"